There are few things more boringly pedantic than condiment policing. Put tomato sauce on your baby, I don’t give a damn. I don’t know if you know this about food, but different people from different places season, dress, and sauce things differently, and this is good, actually. 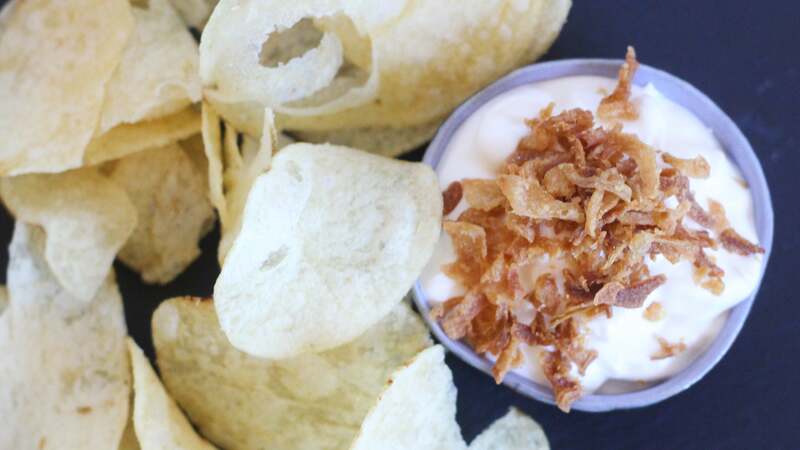 Crispy fried onions are a holiday icon, but their savoury, allium-y crunch can bring one joy all year. Even if you’re not a year-round casserole cook, these salty strips of fried goodness can elevate almost any meal, from salad to snack mix. That’s why, when travelling, it’s sometimes worth giving one of your hometown standards a try in a foreign land. Enjoying a completely new take on an old favourite might — in the words of my late grandfather — learn you something, and your palate will be the broader (and better) for it. If you happen to find yourself in Denmark, you should get a hot dog. Several lessons can be taken away from the ubiquitous sausage-slinging stands you’ll find throughout the country. For one, the average quality of the dog itself — even at a 7-Eleven — is fairly superior to what we get over here. But it’s the toppings that really impressed me. Ketchup and (sometimes two types of) mustard are present, as well as a mayo-based remoulade, some bread and butter type pickles, and two types of onion. 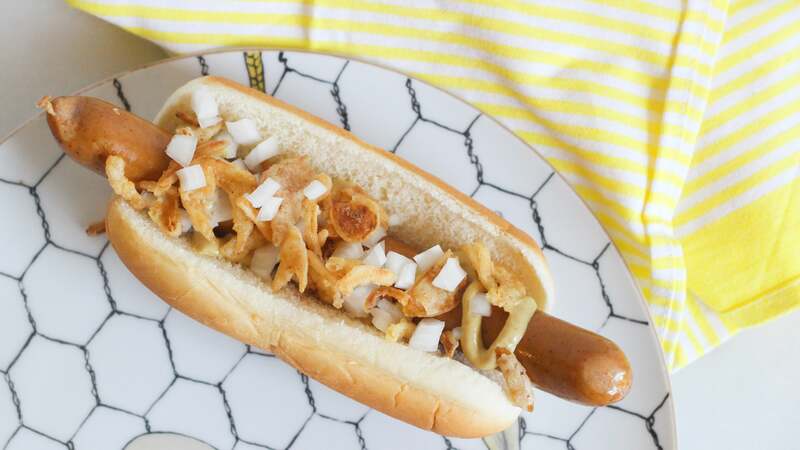 As a single bite, it’s perfect, but if there’s one single component of the Danish hot dog that should be applied to all hot dogs, it’s the treatment of the onions. A fried allium is the perfect finishing touch. 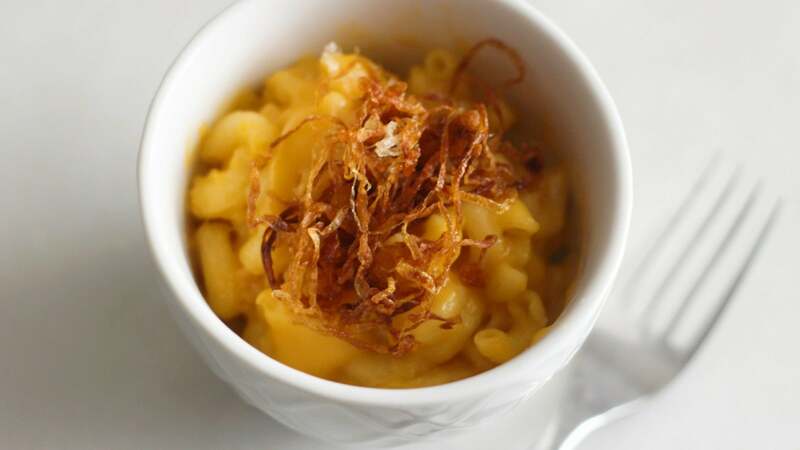 Whether on top of a medium-rare steak, a creamy potato soup, or a gooey bowl of macaroni and cheese (or like, a salad or something), fried onions, leeks, garlic and the like provide crispy texture and salty, umami-rich, slightly pungent flavour. In short, they are desirable. They also just got a bit more convenient, thanks to this microwave method from Cook's Illustrated. Two types of onions makes every hot dog better. A simple, mustard-only dog? Better with two types of onions. A chilli cheese dog? Better with two types of onions. The mayo/mustard/ketchup dog I grew up eating, that angers anyone who gazes upon it? Better with two types of onions.